January 12, 2019 at 8:30 a.m.
Rebecca Ellis crunches through the fresh snow in southwest Edmonton. Amid the din of traffic whizzing by on 23rd Avenue, she catches a sound. "You can hear some chickadees singing right now. It's full of wildlife, even moose and deer and coyotes. 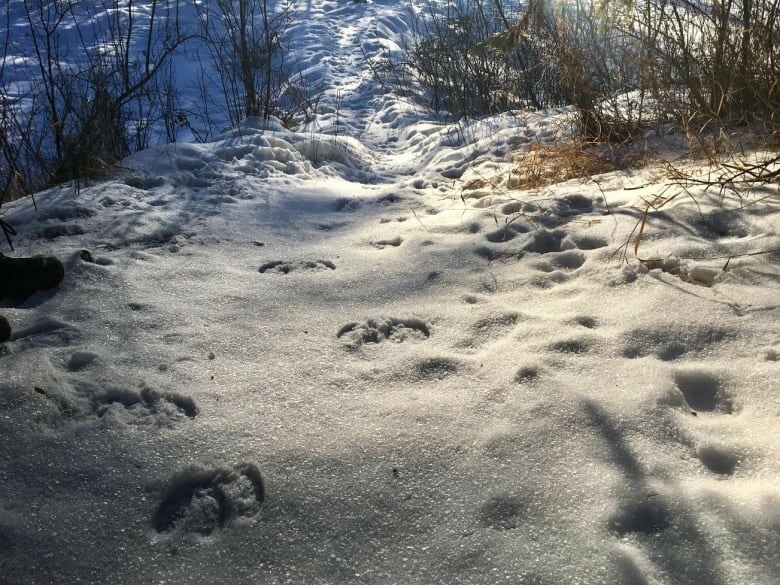 It's quite biodiverse especially considering it's in the middle of a major city," says the conservation manager with the Edmonton and Area Land Trust. Ellis is surveying Larch Sanctuary: Whitemud Nature Reserve in the Magrath Heights neighbourhood which butts up against MacTaggart Sanctuary owned by the University of Alberta. Named after the colourful tamarack tree, the 59 acres of old growth forest is where Blackmud Creek converges with Whitemud Creek before flowing to the North Saskatchewan River. It's also a wildlife corridor, migration stop-over and nesting ground for 42 different species of birds. The land is owned by the City of Edmonton, but the Edmonton and Area Land Trust has a conservation easement on the parcel. "A conservation easement is a notation that is placed on the title of the land. It places restrictions on it from certain things and ensures that it stays like this forever." 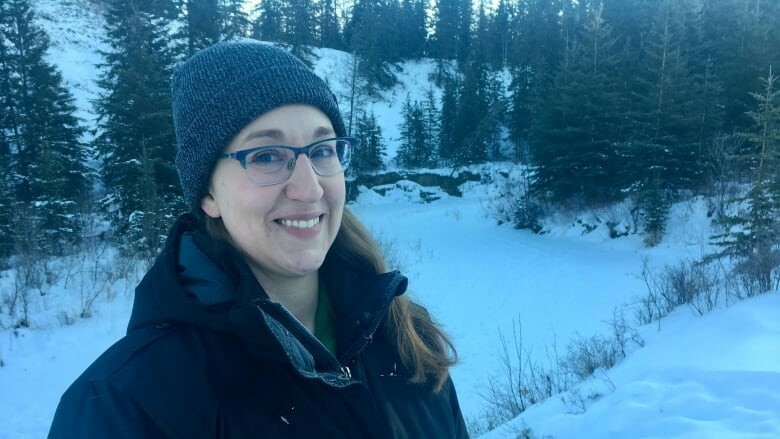 Whitemud Nature Reserve is one of a dozen such agreements now in place in the capital region according to Pam Wight, executive director of the land trust that's been operating for a decade. Volunteers with the land trust pull invasive weeds, plant native trees, host interpretive tours, erect things like bee hotels and, in the case of Larch Sanctuary, clear away old fencing. "We've already wound up a whole bunch of barbed and other wire," Wight said. The wire, erected when the land was still rural, is dangerous to wildlife and people, she said. They not-for profit has recorded more than 15,000 volunteer hours since 2008. "We find it's the people, the citizens in Edmonton and region, who are really supporting and are so critical to the work we do." It's work that was recognized with an Emerald Award in 2013. Carmen Boyko, executive director of the Alberta Emerald Foundation, says the trust is doing amazing work saving, restoring and stewarding land. "That's their sole purpose, to collect donated land, to look after it, to inventory the flora and fauna, to maintain the trails and fencing, to make sure that land is here for our future." 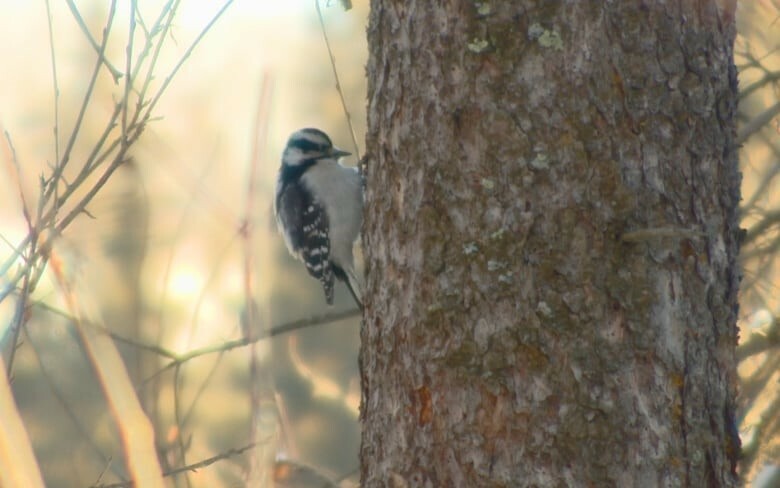 You can see more from Larch Sanctuary: Whitemud Nature Reserve on Our Edmonton at 9:30 a.m. on Saturday, Sunday at 2 p.m. and Monday at 11 a.m. on CBC TV.